Featured listings in St. Andrews C.C. and more! Recognized in REAL Trends "America's Best Real Estate Agents"
Click here to get a FREE comparative analysis report. RENOVATED, FULLY FURNISHED, TURNKEY HOME! This home has it all! Magnificent RENOVATED Courtyard Home on Oversized Private Cul-De-Sac Lot on One of the Best Streets in St. Andrews! RENOVATED DOWN TO THE STUDS! Turnkey Contemporary Home! - MOVE IN READY! The Most Spectacular Lake & Golf Views! Ideally Situated on 1/2 Acre! 4 Bedroom +Office - Exquisite Finishes - Stunning Expansive Lake Views! Beautiful Home with Spectacular Lake & Golf Views! One-Story, 5-Bedroom Home on Half Acre Lot! Gorgeous Lake & Golf Views! Click here to view our newest listings! Click here to see all my featured listings. a wonderful Fitness Center, Spa, and Pool Area. Click here to send MICHAEL an email. Click here to send BETH an email. Click here to send MELANIE an email. Click here to send KAREN an email. Click here for more details and a NEW VIDEO!. St. Andrews Country Club of Boca Raton, Florida shines as one of the best luxury country club communities in South Florida. Spanning 718 acres of fairways and 70 acres of lakes and landscaped vistas, 732 single family homes are set on 1/2 to 1/3 acre lots. Virtually all of the custom-built homes have spectacular golf or lake views. 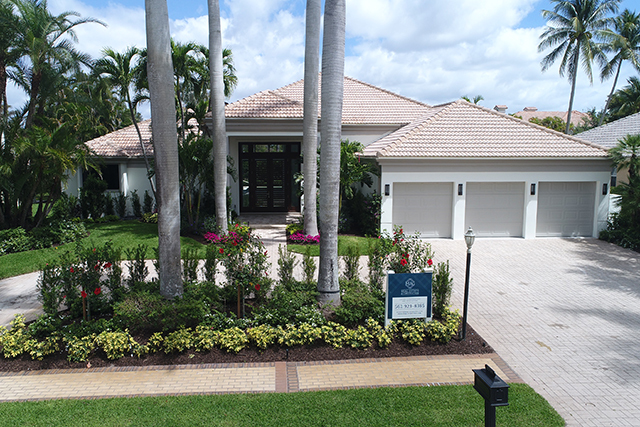 Click here for information about luxury golf club communities in Boca Raton and Delray Beach! "AMERICA'S BEST REAL ESTATE AGENTS"
Click here for details, photos, and video tour. Or as Rental for $32,000/mo. Click here for details, photos, and virtual tour. Click here for details, photos, and a virtual tour. Click here for details, and photos. One-Story 3-Bedroom + Office Home on One of the Best Streets! Great Opportunity! RENOVATED - MOVE IN READY!